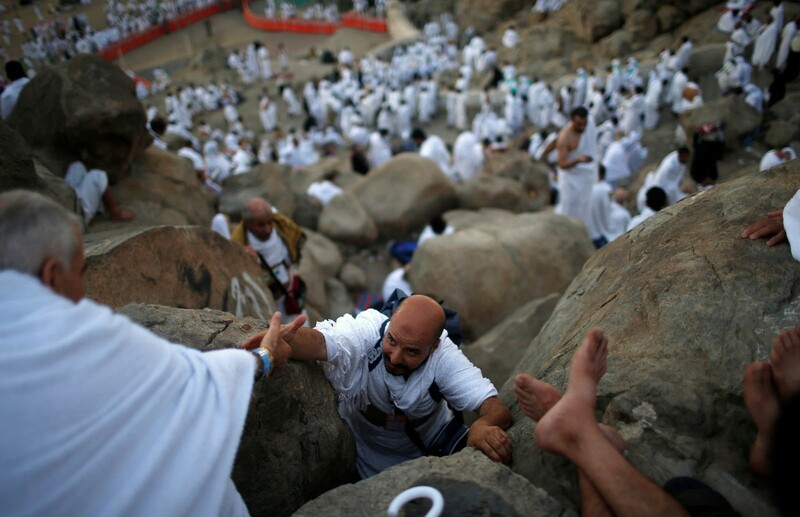 Muslim pilgrims have gathered in the valley of Mount Arafat in Saudi Arabia for a day of prayer that marks the pinnacle of the annual Haj. Over two million pilgrims packed shoulder to shoulder early Monday for an emotional day of repentance and supplication, reports Khaleej Times. It was on this day some 1,400 years ago that Prophet Muhammad(PBUH) is said to have delivered his final sermon, calling for equality and for Muslims to unite. Muslims believe prayer on this day at Mount Arafat, about 20 kilometers (12 miles) east of the holy city of Makkah, is their best chance to erase past sins and start anew. Overnight, strong winds and thunderstorms roared through Makkah. Officials say the severe weather slightly damaged some tents housing pilgrims, but caused no injuries.